We thought you’d like to see the ever-growing list of real ales we’ve served at the Geese and Fountain. All from local breweries, all great examples of the fine tradition of cask conditioned ales that make British pubs the envy of the world. 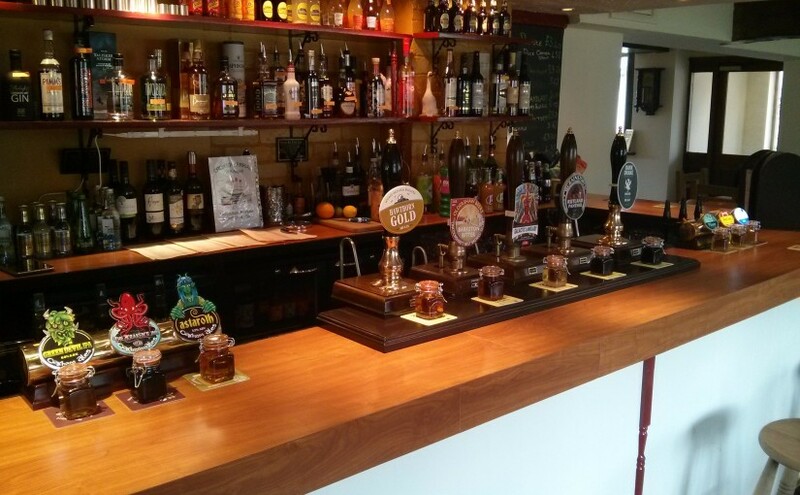 Since we opened, we’ve served over 100 different locally brewed real ales. While we return to our favourites from time to time, you’ll always find something new on the bar. If we’re keeping this list properly updated, the last five beers on this list should be the ones currently available on the bar… if you really want to know which beers we’re currently selling, check us out on twitter or Untappd, where we announce each new beer as it arrives on the bar. Draft ciders are currently Spalding Scrumpy, Scrummage and Full Back from the Hallaton Bottle Kicking Cider Company in Leicestershire, and Hibernate and Nice Pear from Scrumpy Wasp in Nottinghamshire. Our craft keg selection is Abstract Jungle ‘Casual Breakfast Stout’, Brewster’s Golden and Oakham Ales Spring Heeled Jack (black IPA).